Material:80% Arcylic,15% Nylon and 5% Polyester.Item Weight:1.22Ib. 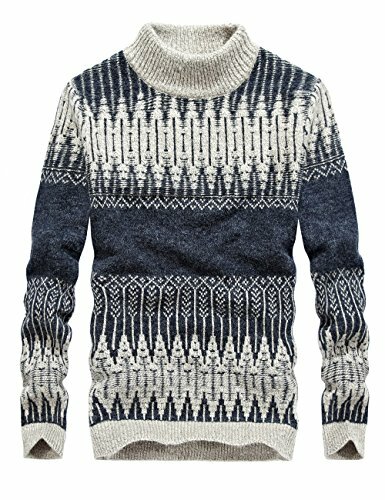 Sweater Design:Pullover Turtleneck Sweater,Full Sleeve,Thick,Stretchable,Soft Materia,Loose Style not Sliml.Casual Pullover Thermal Sweater. Occasion:Autumn and Winter Seasons,Daily Wear,Casual,Date,Party,Outdoor Activities and etc. Wash Tips:Machine Wash,Wash Cold or Warm Water,Hang Out To Dry,No Iron. If you have any questions about this product by S.FLAVOR, contact us by completing and submitting the form below. If you are looking for a specif part number, please include it with your message.